I setup FileVault on my MacBook years ago. I believe I set things up so that my recovery key is stored in iCloud, but I'm not sure. And the FileVault preferences pane doesn't give any clues. 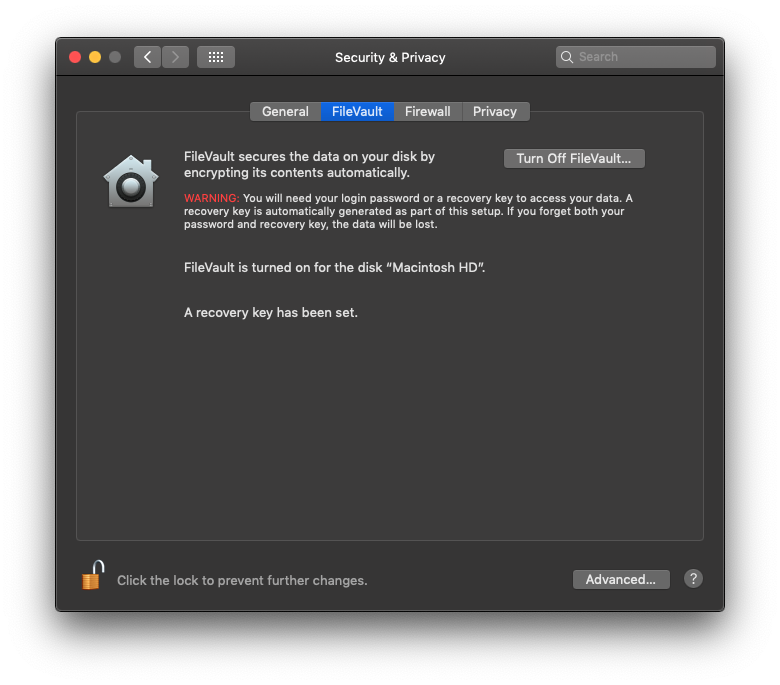 How can I check whether or not my FileVault recovery key is stored in iCloud? Then you need to check if it lists "Type: iCloud Recovery User" and "iCloud Recovery External Key" - if that is the case, then your computer thinks the recovery key is stored in iCloud. If you're worried that Apple somehow lost your key and need to verify that they still have it, you'll have to go through the actual recovery process to try unlocking your drive without your passphrase. That is the best test to see if everything is setup and working as it should, and that Apple has your key. Not the answer you're looking for? Browse other questions tagged icloud filevault .